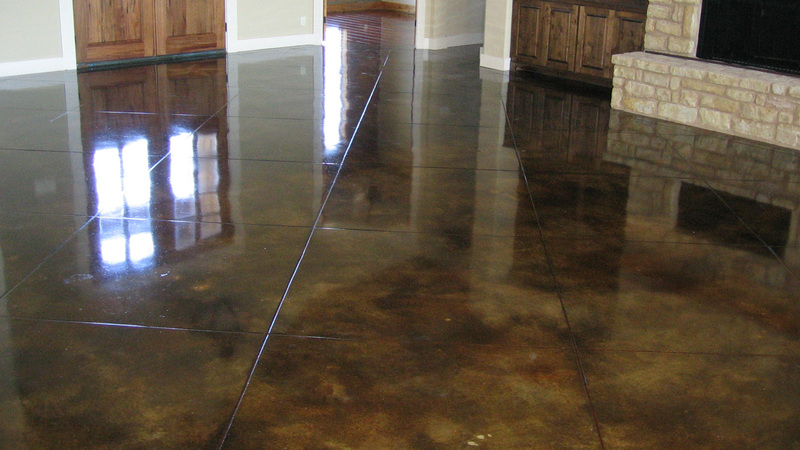 An epoxy floor coating is one of the most durable finishes that you can put over concrete. It adds a nice, lasting shine to a surface and is particularly useful in residential garages, commercial settings, warehouses and the like because of its durability and chemical resistance. All of our epoxy garage floors come with a full 5 year warranty. Epoxy floor coating is distinctly valued for its durability. It is stain and water resistant, heat resistant and can withstand chemical spills/cleaners. 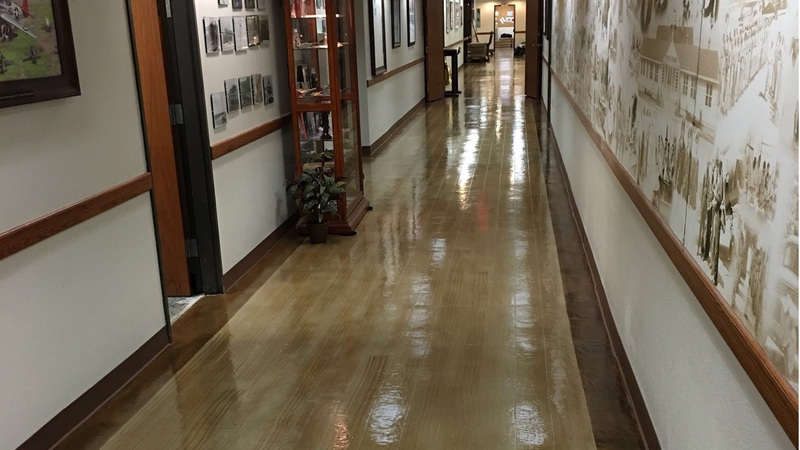 The lifespan of epoxy coating is longer than many types of flooring. If installed properly, it rarely peels or cracks and can last multiple decades. This durability & chemical resistance is why it is popular for residential as well as commercial and industrial use. Another unique thing about epoxy is its resistance to germs. This flooring is very easily sanitized. And, it protects the concrete beneath from stains and cracks. Over time, this can save you a great deal of money on cleaning and maintenance products. 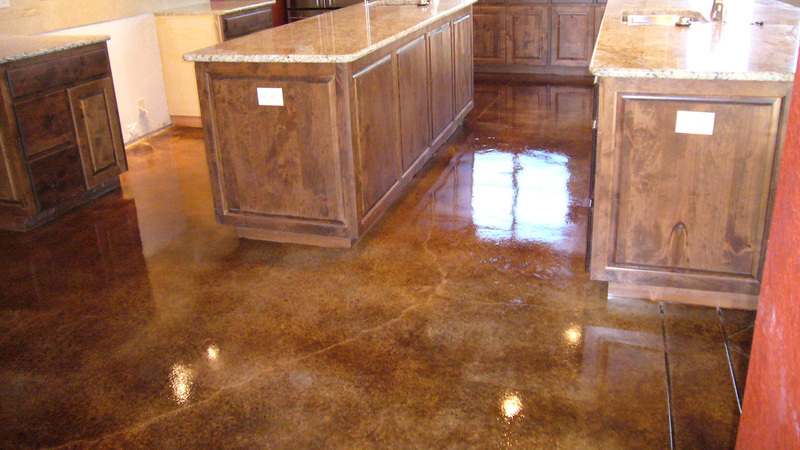 Moreover, epoxy is a very affordable option to protect and decorate your floors. 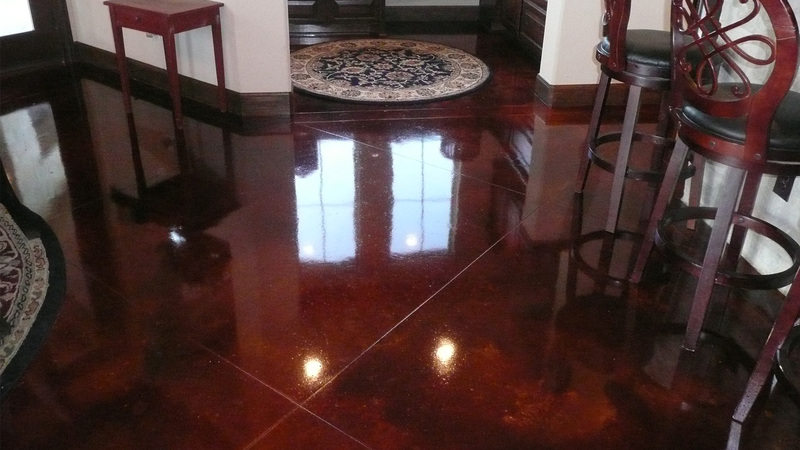 Not only does epoxy have an elegant shine, it comes in a variety of colors. These colors can be arranged into traditional or personalized patterns. 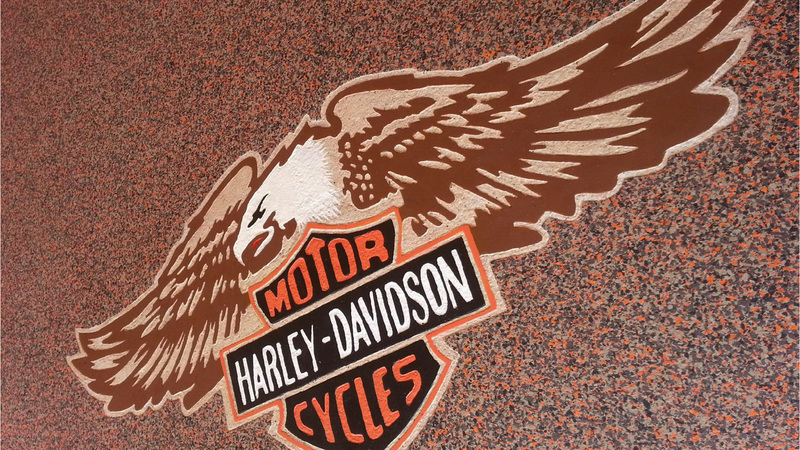 This makes epoxy a great, economical way to upgrade plain concrete and improve the atmosphere of a garage or business. One of the issues we see with just a straight epoxy paint in high traffic or wet/damp areas is that it can become quite slippery. On floors prone to spills/dampness, it is best to have textured flake in the surface. This is an easy way to counter the natural slipperiness of the epoxy. A simple flake will create a good grip on your floor and will make the area much safer. Additionally, despite its long lifespan and durability, epoxy coating is not indestructible. The coating can be chipped/cracked if very heavy items are dropped on it. However, if the epoxy is fixed in a timely manner, any cracks that occur are unlikely to spread and the coating should still last many years.